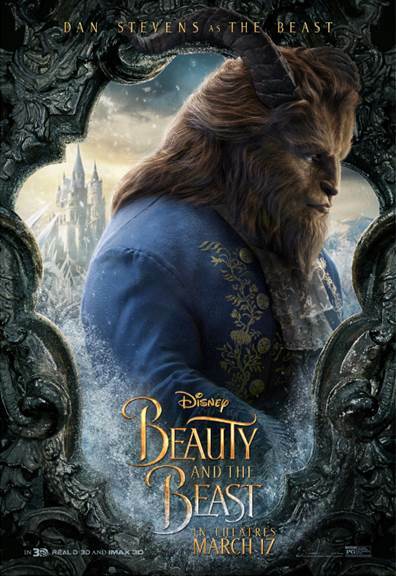 The live-action adaption of the beloved animated family musical classic Beauty and the Beast, which hits the big screen March 17th, 2017, is perhaps one of the most anticipated Disney reboot movies ever. This new film follows in the crystal slipper tradition of Disney's beautifully directed live action Cinderella motion picture. 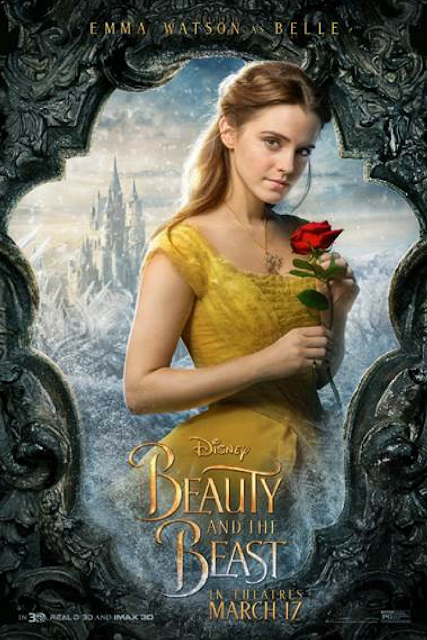 And -- from what I have learned and seen so far -- it's looking like Beauty and the Beast's sets and costumes will be absolutely stunning. In fact, those aren't the only things to look forward to in this all-new fantasy. 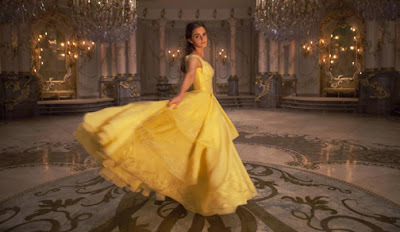 With a star studded cast representing several generations, including Emma Watson, Dan Stevens, Kevin Kline, Emma Thompson and so many others, this is a movie many of us (both kids and grownups) simply can't wait to see. 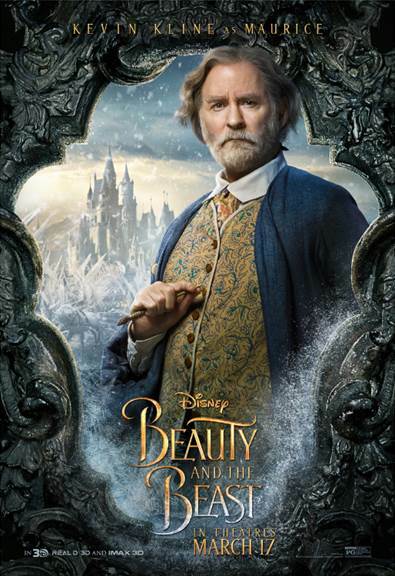 So to celebrate, I'm excited to share a few of Disney's newly-released character posters of the upcoming film's cast with MBE's loyal readers -- all of which are truly exquisite. 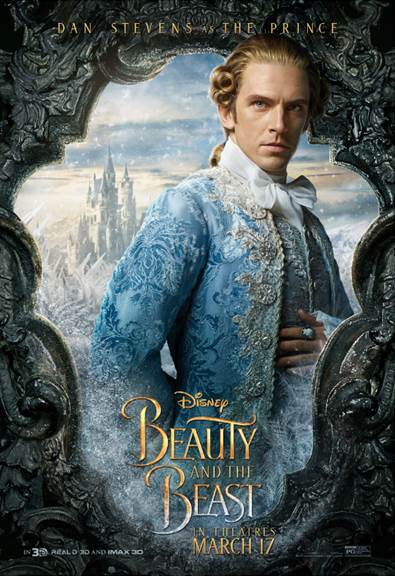 Directed by Bill Condon (Dreamgirls), the cast of Beauty and the Beast includes Emma Watson as Belle, Dan Stevens as the Beast and Prince Adam, Luke Evans as Gaston, Kevin Kline as Maurice, Josh Gad as LeFou, Ewan McGregor as Lumiere, Stanley Tucci as Cadenza, Gugu Mbatha-Raw as Plumette, Audra McDonald as Garderobe, Ian McKellen as Cogsworth and Emma Thompson as Mrs. Potts. 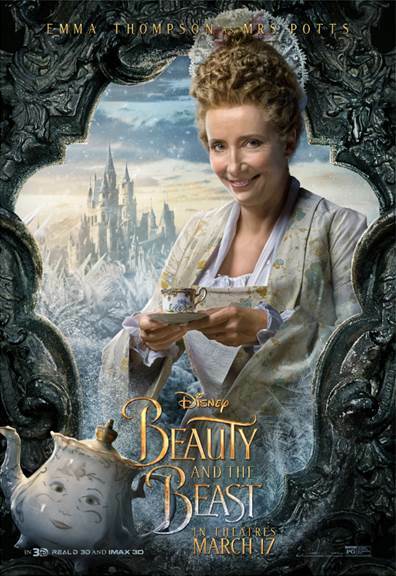 FTC Disclosure: I did not receive any payment or other compensation in connection with this post and Disney provided all images in this story. See complete FTC Disclosure information that appears at the bottom of MommyBlogExpert's main page and at the bottom of every individual post on this blog, including this one.